The Baronet 3ft Single Single Orthopaedic Mattress is white on top and bottom with quilted side panels upholstered in luxury chocolate color Suede fabric. It is coil spring, 25cm thick, providing ‘medium firmness’ and is upholstered with layers of hypoallergenic cotton and polyester fillings. 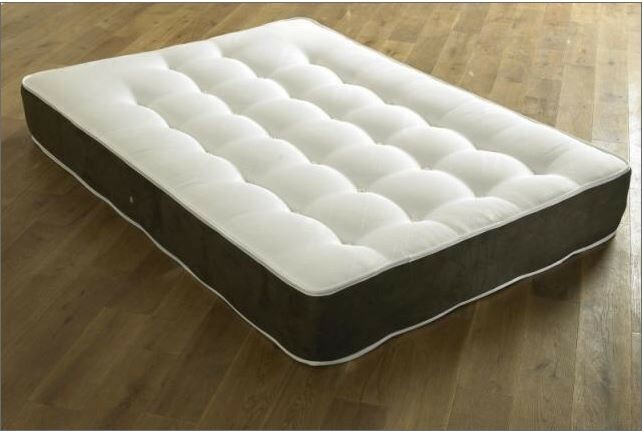 This allows for an even distribution of weight and gives a fantastic support for the body and a relaxing sleep.